Born April 2017, Filly Registered ISR/Oldenburg Pony Div. We couldn't be happier with Delfina. 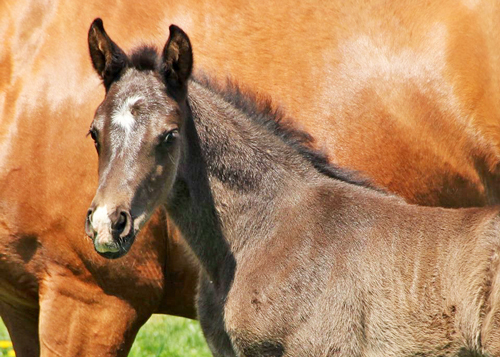 She is a beautiful elegant feminine filly with stunning looks. 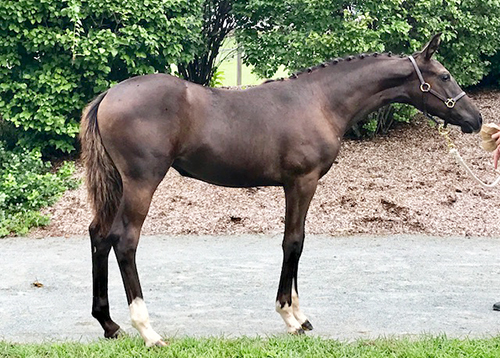 Her Sire is Doctor Wendell was very successful at Breed Shows as a youngster, winning the Grand Championship at the 2010 Good Horseman Breeders Show and the 2010 USDF/GAIG East Coast Reserve Championship Colt/Gelding. He was also the USDF Horse of the Year for Two-Year old Colts/Geldings in 2010. 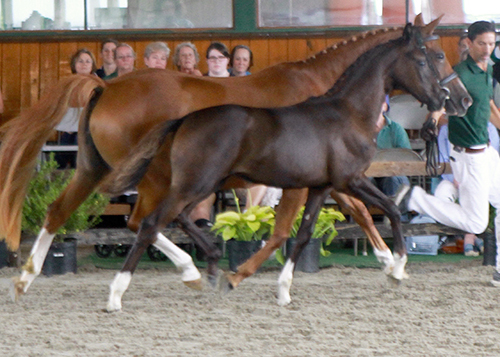 At the 2011 Dressage at Devon, he won the Colt/Gelding Championship and was Reserve Champion Young Horse. That same year, Doctor Wendell was also the USDF Reserve Champion for the 3-year old Colts/Gelding In-Hand and Materiale divisions. 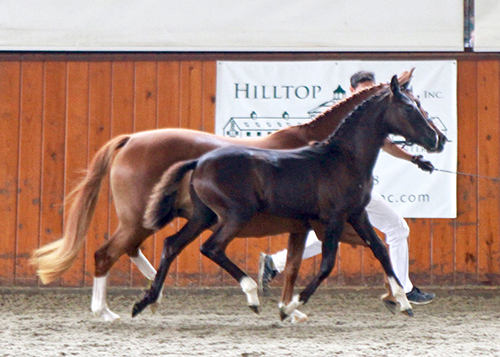 In 2012, Doctor Wendell was winning under saddle with scores into the 70’s at First Level. In 2013, Doctor Wendell finished 6th in the FEI 5-Year Old National Championships under Chris Hickey’s ride. The following year, Doctor Wendell finished 5th in the FEI 6-Year Old National Championships under rider Jim Kofford. That same year, Doctor Wendell was USDF Region 2 Third Level Champion and finished 6th in the USDF National Third Level Championship. In 2016 Doctor Wendell with rider Jim Kofford was scoring into the mid 70's in the Grand Prix Developing Horse Classes. Doctor Wendell is out of a Sandro Hit daughter. Sandro Hit is well-known for producing successful dressage horses, including three competitors at the 2012 Olympic Games. 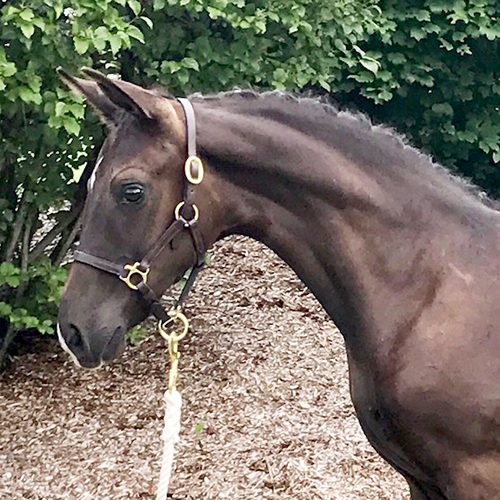 Doctor Wendell is the son of the very impressive Grand Prix Elite Hanoverian stallion Don Principe who has taken 5 riders over 7 seven to show at Grand Prix. Now that's impressive !!! Don Principe is by the legendary Donnerhall, winner of many World Cup, World Championship, and German Championship titles. 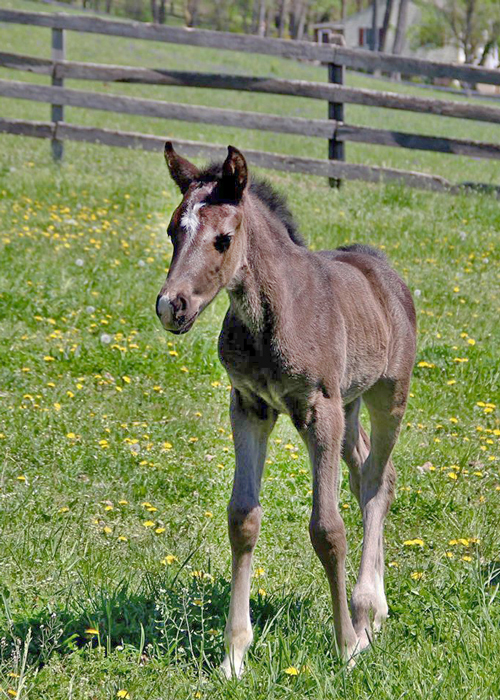 Delfina's Dam Winslette is registered with the ISR/Oldenburg. She was a Premium Foal and is now a Premium Mare and produced two outstanding foals for us in the past; Florence (Premium Filly Award) and Claire (Premium Filly Award). 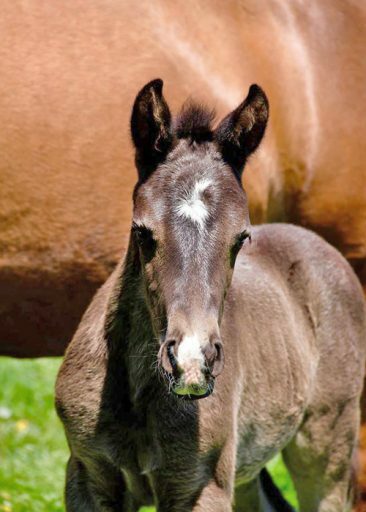 Her sire is our very own New Forest Pony Wicked Courtjester who has sired many many Premium foals, Premium Mares and three approved and licensed stallions as well as offspring completing in all disciplines. 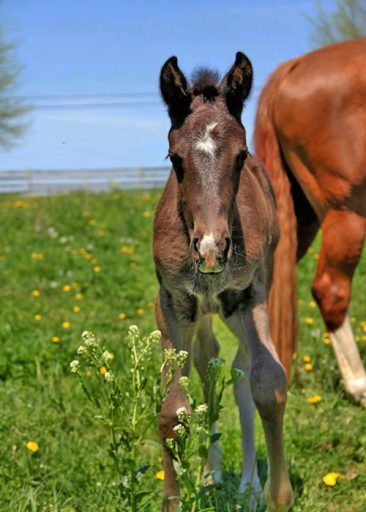 Winslette's Dam is the Grand Prix mare Zauberelle who stole our hearts as many of us remember her competing with Heather Mason in shows up and down the East Coast. 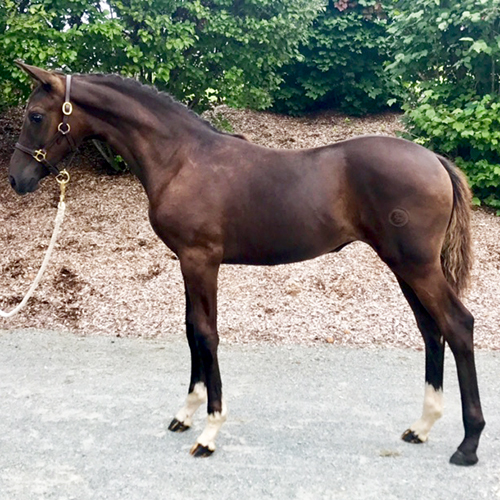 In Delfina, we see several strong successful performance bloodlines and have no doubt that this stunning filly has the movement, conformation and temperament to go far. She would be best suited for a smaller ambitious adult amateur rider wanting to be competitive along side the big horses. Delfina is registered and branded with the ISR/Oldenburg Registry, microchipped and attained an overall score of 8.0 at her breed Inspections. Update: SOLD! Congratulations to Stephanie Smay!